Justice League has finally cracked $600 million at the global box office, despite trailing behind Coco domestically this weekend. In the wake of Justice League finally releasing and uniting the titans of the DC Comics, information has begun pouring in detailing how Warner Bros rushed their shared universe into production. Though the wait may seem long, it appears the studio was overeager to replicate Marvel Studios’ success with The Avengers in 2012 and scrambled to make Zack Snyder’s Man of Steel into the start of a similar franchise. Unfortunately for DC fans, the results have been mixed. As Justice League continues to underperform at the box office, rumors have emerged that WB is upending their plans for a number of movies. It looks as if fans can breathe a sigh of relief, however, as the DCEU film slate isn’t being restructured at the moment. CCXP in Brazil this weekend featured a plan for the universe matching the one unveiled at San Diego Comic-Con this past summer, and Zack Snyder is still producing Aquaman and Wonder Woman 2. Meanwhile, Justice League has crept passed another milestone at the box office. Variety is reporting that Justice League brought in an additional $9.6 million at the domestic box office this weekend, bringing its total to $212.1M at home. It couldn’t compete with Pixar’s Coco, however, which nabbed $18.3M and won its third weekend in a row. 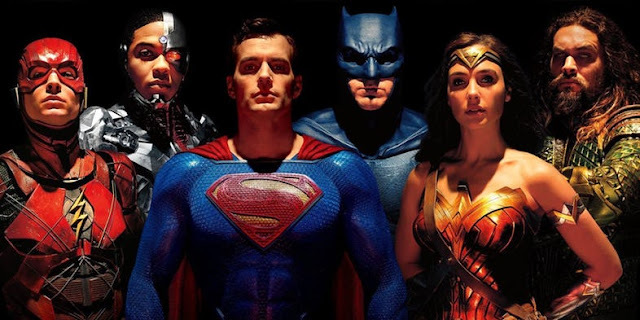 Luckily, the haul was enough to push the DC team-up film to $613.1M worldwide and maintain its position as the 10th biggest film of the year. Justice League passing $600 million worldwide means its should (in theory) be profitable now, despite being the lowest-grossing DC Film to date. It’s still well behind Wonder Woman‘s domestic haul of $318M at the same point during its own run. The movie has also failed to come anywhere close to The Avenger‘s $623.3M domestic total and $1.5 billion global gross (not accounting for inflation). Justice League‘s extensive reshoots brought its production budget up to a staggering $300M, which is why it’s only now broken even at the box office. It’s not all bad news, however, as Justice League has become DC’s biggest hit in China. The film has done well internationally, a market that has increasingly benefitted underperforming domestic blockbusters this year. It could be this silver lining that’s preventing WB from reworking its film plans, though the studio’s plans for the future of the shared universe are already undergoing some big changes. The next DC film won’t hit theaters until December of 2018, when director James Wan’s Aquaman solo movie arrives on the scene. Wonder Woman 2 and Shazam! have confirmed release dates for 2019 and will follow after Aquaman, but the rest of the DC Film release schedule is up in the air at the moment. That includes the potential Justice League sequel, which seems unlikely to happen now (or, at least, until further notice).